← Story Massage Conference 2019 – Inspiration and Ideas! 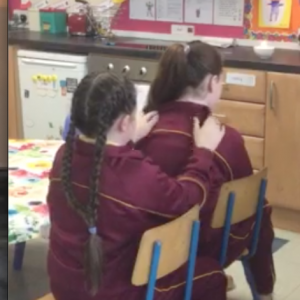 The Early Focus Project in Dublin has shared the Story Massage Programme as part of the Emotional and Well-Being Curriculum for the past three years. We talk to Melissa Hogan, Project Co-ordinator and Una Curran, mindfulness and well-being coach, about their award-winning work in helping children feel safe, secure, comforted and regarded. The Early Focus Project is based within a Southside inner city school. The project aims to provide children with a safe place to be listened to and supported as they explore a range of difficult emotions. 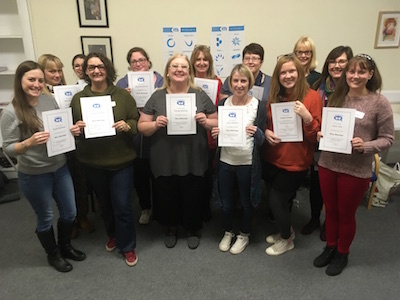 Teachers and Special Needs Assistants (SNA) are trained in the Story Massage Programme so it can be widely used in the emotional and well-being curriculum. 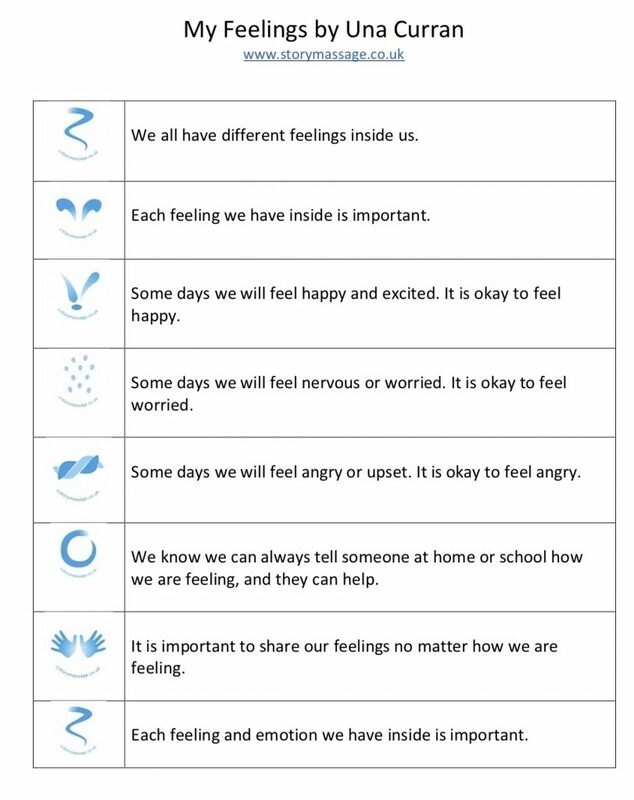 “The combination of positive touch and words helps children to explore and discuss their emotions while forgetting their problems and anxieties for a while,” explain Melissa and Una. “Our well-being lessons are structured around a theme such as angry feelings, gratitude or making mistakes. The massage story is based on the theme of the lesson.” Here is an example. 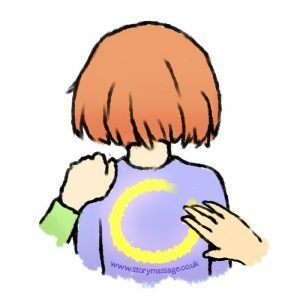 What are the key benefits of the Story Massage Programme? Nurturing touch raises the levels of oxytocin, the feel-good hormone, making us feel happy, relaxed and connected. Not all children enjoy positive touch for a variety of reasons. Story Massage helps children to experience respectful touch in a safe and supportive environment. 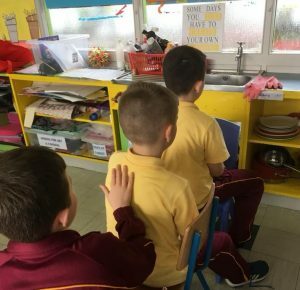 Children are asked if they want a massage story as part of being respectful to each other. Sometimes children refuse and they know this is okay. They are often more willing to join in because they do have a choice. Many children, especially those with ADHD and autism, find it hard to sit still and listen in lessons. But they give their full attention when they give and receive a massage story. And there is increased eye contact as they watch for the next stroke. 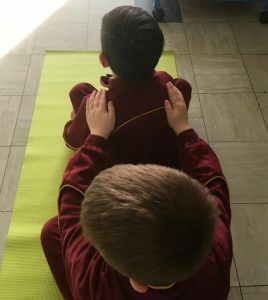 One boy refused to join in most of the activities in the well-being sessions but after a few weeks he began to join in the Story Massage sessions with an SNA or another boy. He gradually started taking part in more activities and now sits calmly for the meditation at the end of the lesson. The Story Massage Programme encourages mental processing of visual, auditory and kinaesthetic information in the brain. Children watch, listen and then copy each massage stroke. It can be used as an assessment tool as it clearly shows when children are struggling with using right and left sides of their brain and body together. As it is such a visual activity our EAL (English as an Additional Language) children can take part and begin to learn the language of the strokes – such as The Circle or The Wave. The shared experience of positive touch through Story Massage helps build trust with adults and develop friendships among peers. One child with ADHD was very argumentative and found it hard to communicate positively. But he has really taken to Story Massage and it has given him a way to calm himself and show ‘kind hands’ to his friends. He now asks his peers if they would like a massage story outside in the yard. Some children have given a massage story to their parents or guardians – and even their dogs! Are you looking for ideas for your emotional and well-being curriculum? We run a one day accredited training course held around the country for individuals and groups. These days can also be organised as in-house training sessions. And we also have a new online training option.